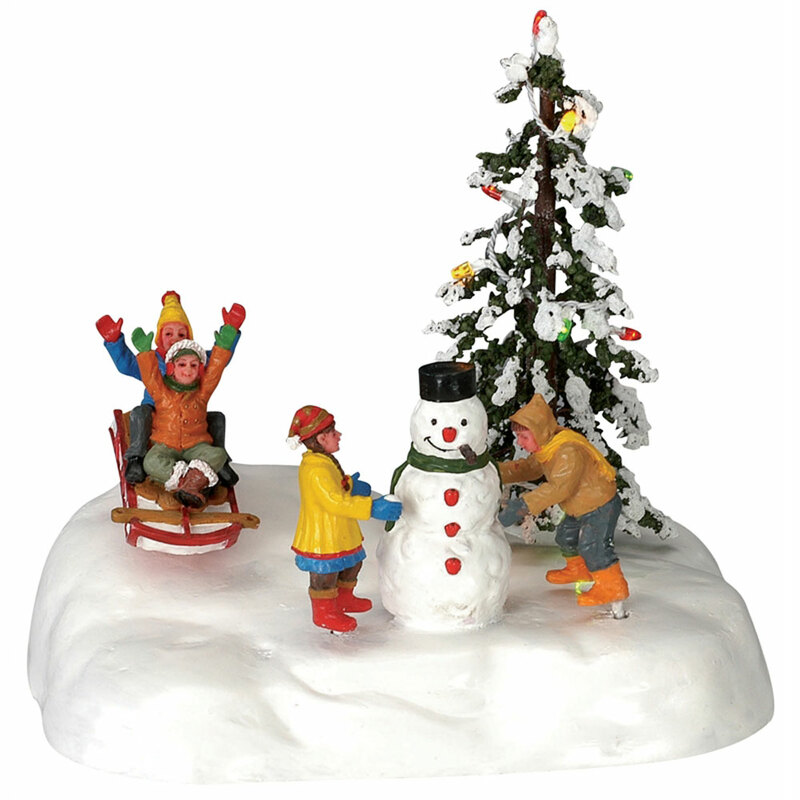 Lemax Frolic In The Snow Lighted Table Accent depicts an animated joyful group of Winter dressed children having real fun in the snow. A delightful battery operated animated miniature Lemax table piece to compliment your miniature Winter village display. The scene includes children on a downhill sled rocking to-and-fro whilst other playmates move back and forth finishing their Snowman. A multi colour illuminated and snowed Christmas tree stands tall where the children play. Scaled and themed for placement in and amongst your Lemax scene to add movement and illumination to a Winter setting. The lighted multi figurine scene is placed on a single individual snowed base and all four figurines animate in sequence. Battery operated as standard, powered by an internal battery compartment underneath, however this table accent is also mains adaptable. Frolic In The Snow is a popular lighted table accent which joined the growing Lemax Vail Village collection in 2004.